Ranbir Singh's grandson Hari Singh, who had ascended the throne of Kashmir in 1925, was the reigning monarch in 1947 at the conclusion of British rule of the subcontinent and the subsequent partition of the British Indian Empire into the newly independent Union of India and the Dominion of Pakistan. As parties to the partition process, both countries had agreed that the rulers of princely states would be given the right to opt for either Pakistan or India or in very special cases to remain independent. In 1947, Kashmir's population was 77% Muslim and it shared a boundary with Pakistan. Hence, it was anticipated that the Maharaja would accede to Pakistan, when the British government was to end on 14-15 August 1947. When Hari Singh hesitated to do this, Pakistan launched a guerilla onslaught meant to frighten its ruler into submission. Instead the Maharaja appealed to Lord Mountbatten for assistance, and the Governor-General agreed on the condition that the ruler accede to India. Once the Maharaja signed the Instrument of Accession, Indian soldiers entered Kashmir and drove the Pakistani-sponsored irregulars from all but a small section of the state. The United Nations was then invited to mediate the quarrel. The UN mission insisted that the opinion of Kashmiris must be ascertained, while India insisted that no referendum could occur until all of the state had been cleared of irregulars. This is to date de-facto boundary of the two countries. Aksai Chin was one of the main causes of the Sino-Indian War of 1962, as India discovered a road, China had built through Aksai Chin, shown as Chinese on official Chinese maps. Beginning in 1954, India had shown on its official Survey of India maps a definite boundary line awarding Aksai Chin to itself, despite no military or other occupation of the area. Before 1954, Indian maps had shown undefined and indefinite boundary lines in this area. The China National Highway 219, connecting Tibet and Xinjiang, passes through no towns in Aksai Chin, only some military posts and truck stops, such as the very small Tianshuihai (el. 4,850 m (15,900 ft)) post. The road adds to the strategic importance of the area. Aksai Chin is now under Chinese administration since 1962. The region is now divided among three countries in a territorial dispute: Pakistan controls the northwest portion (Gilgit-Baltistan and Azad Kashmir), India controls the central and southern portion (Jammu and Kashmir) and Ladakh, and China controls the northeastern portion (Aksai Chin and the Trans-Karakoram Tract). India controls the majority of the Siachen Glacier area including the Saltoro Ridge passes, whereas Pakistan controls the lower territory just southwest of the Saltoro Ridge. India controls 141,338 km2 (54,571 sq mi) of the disputed territory, Pakistan 85,846 km2 (33,145 sq mi) and China, the remaining 37,555 km2 (14,500 sq mi). Jammu and Kashmir as an Indian state has capital at Srinagar in summer and Jammu in winter. ... Kingdom of Kashmir established in remote (legendary) antiquity. Early Middle Ages State of Jammu established. 28 Jul 1589 Kashmir incorporated into (Mughal) Empire of Hind. May 1752 Kashmir conquered by the newly founded Afghan kingdom. 1816 Jammu annexed to the Punjab. 05 Jul 1819 Kashmir annexed to the Punjab. 1820 Independence of Jammu restored. creating the state of Jammu and Kashmir. 16 Mar 1846 Jammu and Kashmir a British protectorate till 15 Aug 1947. (Azad Kashmir annexed to Pakistan). 21 Nov 1962 China occupies Aksai Chin region of Ladakh. Aryan invasions from 1600/1400 BCE. Udhishdhira I..........................................c. 282 - ? Hiranya Toramana.......................................c. 513 - ? Matrgupta (usurper)................................. ? c. 530 - c. 535 ? Friedberg#235 or Mitch#3650 [Gopal, pl. II-2 / Mitch-3656+]. Metal: Base Gold Dinar [Later Kushan Gold Debased Kashmir Starter Electrum]. Weight: 7.64g [7.80g]. Diameter: 21 mm. Alignment: Medal. Obverse: Highly stylized Kushan type king standing with legends in the right field "Jaya". Reverse: Seated Goddess Ardoksho with legend in the right field "Shri Vinaya" & "Di Tya" on left. Ruler: Vinayaditya. Subject: Goddess Ardoksho. Note: Karkotakas of Kashmir - Kidarites of India who ruled Jammu and Kashmir region. The youngest son of Bappiya was Jayapida reigned 490 - 500 CE. The highest percentage of gold found on these coins is up to 17% of the total weight. Bronze Dinar coins of Avantivarman, Parthavarman, Abhimanyu, Didda Rani and 1st Lohara rulers are known. Partha Varman made queen Sugandha Rani abdicate in favour of him when he was only 10 years old. Later after 10 years Sugandha, rebelled against him but she lost and was put to death. Partha Verman was dethroned in 923, and was succeeded by his father, Nirjita Vermma, a cripple, who was put to death at the end of a year, and the throne given to his infant son, Chakra Verman. Kshemagupta was pleasure-loving and dissolute. He was addicted to women, gambling, and especially hunting. In his search for political legitimacy for his rule he offered to marry the disabled and not-so-young Didda, who had the qualification of being the granddaughter of Bhimadeva, Shahi ruler of Kabul. After they accepted, the wedding took place in 950 CE and Didda came to beautiful Shrinagara in Kashmir. Surprisingly, her husband was soon so obviously under her spell that the populace started calling him “Diddakshema”. 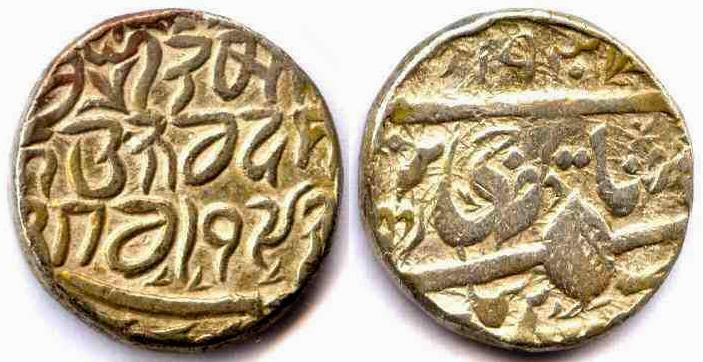 The infatuated Kshemagupta took the rare step of minting coins with “Di(dda) Kshemagupta Deva” inscribed on them. Ksemagupta's union with Didda brought Kashmir under the rule of the Lohara family which continued to rule Kashmir until the early 14th century. A beautiful woman who even when she was young and could walk was carried everywhere by a female called Valga. The exact reason for this is unclear but records show she was known as Charanhina (footless). Didda was a daughter of Simharāja, the king of Lohara, and a granddaughter on her maternal side of Bhima Shahi, one of the Hindu Shahi of Kabul. Lohara lay in the Pir Panjal range of mountains, on a trade route between western Punjab and Kashmir. She married the king of Kashmir, Kshemagupta, thus uniting the kingdom of Lohara with that of her husband. Even prior to becoming Regent Didda had considerable influence in state affairs, and coins have been found which appear to show both her name and that of Kshemagupta. When Kshemagupta died following a violent fever contracted after his beloved jackal hunt in 960, he was succeeded by his son, Abhimanyu. Didda made her first stand by refusing to commit sati on her husband's pyre. As Abhimanyu was still a child, Didda acted as Regent and effectively exercised sole power. She ruled as a Regent for her son, whom some say she killed, and various grandsons. She became one of the most ruthless rulers of Kashmir. Being clever and manipulative from 981, she ruled as sole ruler. She ruled for more than 40 years until her death at the age of 79 in 1004. When Queen Didda Rani wished to choose an heir she challenged all the young males from her family to pick up the most pieces of fruit they could from a pile in front of them. The boys fought and wrestled for the fruit, but her brother's son, Samgrama had the most without engaging in any fighting. He had incited the others to fight while he calmly gathered the fruits for himself. The queen was so impressed she named him as her heir. Samgrama was a weak king as the real power was in the hands of Tunga the prime minister who was also the lover of his aunt Queen Didda Rani. In 1014 Samgrama sent Tunga to help in the war against Sultan Mahmud but eventually Tunga was defeated, this defeat must have undermined Tunga's prestige as Samgrama had him murdered. His father Ananta abdicated due to Suryamati's (his mother's) blind affection for their son. Kalasa proved disloyal to his parents and his frustrated father committed suicide. His mother threw herself on his funeral pyre. Kalasa spent the rest of his life conquering and raiding neighbouring kingdoms such as Urasa and Abhaya. Kalasa had two sons Utkarsha and Harsha. During Kalasa's final days Harsha attempted a rebellion which was suppressed and Harsha imprisoned. On Kalasa's death his other son Utkarsha became king. Following his father's death Harsha remained imprisoned until a short time later, another rebellion resulted in him escaping and seizing control of the throne. Utharsha committed suicide. Harsha had a contrasting character, he restored the lost glory of Kashmir with the clever use of administration, education and culture but his greed and extravagance, tax increases and lavish temple construction eventually angered the people. With the treasury exhausted a revolt broke out led by two brothers Sussala and Uchchala. In 1102 Harsha was defeated and killed. Mitchiner NIS 183-184 Starter. Year: 1064-1090. Weight: 6.23g. Metal: Copper. Diameter: 18.50 mm. Edge: Plain. Alignment: Medal. Mint: N/A. Obverse: Goddess Ardoksho enthroned facing straight. "Kalasa Ra-" written in Nagari. Reverse: King standing facing straight. "-ja Deva" written in Nagari. Mintage: N/A. Minted Years: N/A. Ruler: Kalasa Raja Deva (1064-1090). Shah Mir attacked her and forced her to marry him. He later threw her and her two sons in the prison and declared himself Sultan Shamsuddin. Her death in 1339 paved the way for the establishment of Muslim rule in Kashmir. Shah Mirza was an adventurer from Swat. He became a minister to the above ruling Hindu ruler and eventually succeeded in usurping the throne, adopting the title Shams al-Din Shah. His reign lasted three years and he was followed in turn by each of his four sons mentioned below. After Hindal's death, his widow placed their young son Sikandar on the throne. No coins are known for any of these early Swati Sultans. Although there are no coins known struck in the name of this Sikandar, there are various anonymous copper coins dated to his reign. Therefore to his reign the first coins of the Kashmir Sultanate are attributed. He is known as Iconoclast and is reputed to have destroyed Hindu temples and images. Such bronze images my well have been converted into coinage. Sikandar died and was succeeded by his eldest son with the title Ali Shah. Ali Shah was defeated in battle by his brother Shahi Khan and disappears from history. Shahi Khan ascended the throne under the title Zain al-Abidin and proceeded to rule wisely and with justice for the next fifty years. Unlike his predecessor, he was tolerant of the Hindu religion and permitted its observance. He under toll various public works, promoted learning and made Persian the language of his court. He reformed the coinage striking coins in gold, silver and bronze. With a couple of exceptions, his coins formed the pattern for the sultanate Delhi's coinage until its ending the Mughal emperor Akbar. 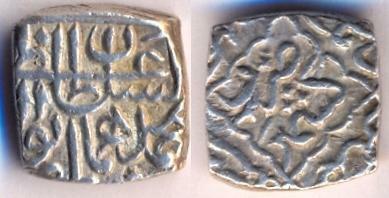 Sasnu as silver square and Kaserah as copper round coins were introduced of weight around six gram each in his reign. Zain al-Abidin's health deteriorated and his realm fell prey to the intrigues of his three sons and their supporters. After his death his son, Haji Khan, ascended the throne with the title Haidar Shah. Haidar turned out to be worthless drunkard, who allowed the country to be misgoverned by his ministers, thus undoing all the good work of his father. His reign lasted but a couple of years and he was succeeded by his son Hasan. He, too, though a scholar and benevolent by nature, was also addicted to strong drink. He appointed a Sayyid minister, which led Sayyids becoming all-powerful in the sultanate. Hasan wanted to be succeeded by his cousin, Fath Khan, rather than by his eldest son Muhammad, but when he died, his minister, the Sayyid Mirak Hasan Baihaqi, placed Muhammad Shah on the throne. The Sayyids were not popular in Kashmir and Muhammad Shah's accession was hotly contested. For the next fifty years, Muhammad Shah and Fath Shah became pawns of the factional leaders, the Sayyids and the Chaks. Coins in all three metal exists in the name of Sikandar Shah. In the past these coins have been attributed to earlier Sikandar Shah. 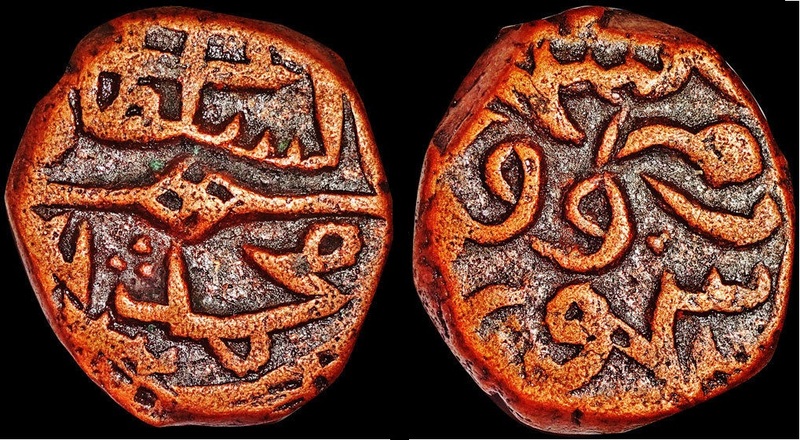 Die studies reveal, however that these coins must have been struck some time around 1516-1521 CE, either in the name of Fath Shah's son Sikandar Khan, who was proclaimed king in about 1521 by his father's erstwhile supporters, or in the name of Sikandar Lodhi of Delhi. Muhammad Shah had gone into exile to Delhi in 1516 and had appealed to the Lodhi ruler for assistance to regain his throne. Assistance was granted and Muhammad managed to oust his competitor. In return of this assistance Muhammad may have agreed to acknowledge the suzerainty of Delhi and to strike coins in the name of the Delhi ruler. In 1528, Kaji Chak became Prime Minister, removed Muhammad Shah from the throne and placed his own son Ibrahim on the throne. Within a year of Ibrahim Shah's rule, Nazuk Shah got control and ruled for about a year as well. Muhammad Shah was released from prison and enthroned for the fifth time, with Nazuk Shah being relegated to heir apparent. At around this time, Kashmir was invaded by a Mughal army on the orders of Kamran. After a short occupation, the Mughals were ousted but in 1553, the country was again invaded, this time by a Kashghari army under Mirza Haidar Dughlat. The Kashgharis were successful but did not stay long. They negotiated a treaty and withdrew, having first had the name of their Khan, Mir Said Khan of Kashghar, read out in the khutba and struck on the coins of Kashmir around AH 939/940 (1553 CE). Muhammad Shah eventually died and was succeeded by his son. He ruled as a puppet of his maternal grandfather, Kaji Chak. He did not enjoy his position for very long as he died the following year to be followed on the throne by his brother. After a short reign Ismail Shah was replaced by his son. No silver coins have been found of Ibrahim II but copper coins have been struck in his name with fixed date, making it impossible to distinguish between his coins and those of Ibrahim I. Ibrahim Shah I was replaced by Nazuk Shah. The opponents of Kaji Chak has invited Mirza Haidar, who had led the Kashghari invasion of 1553, and who was serving the Mughal emperor, Humayun, in the Punjab, to take control of the country. This objected was achieved, Kaji Chak was defeated and Nazuk put on the throne. Strangely, on his coins he is called Nadir Shah and not Nazuk Shah. Coins struck during Mirza Haidar's reign bear the name of the Mughal emperor Muhammad Humayun and Islam Shah Suri. Nazuk Shah was again removed and replaced this time by Ibrahim II, for his second reign. There was dissent among the Chaks and Ghazi Chak managed to regain power, installing firstly Ismail Shah II and then his nephew, Habib Shah as ruler. He used the name Mahmud Shah on his coins for unknown reason. Ghazi Chak decided to ascend the throne himself under the title of Muhammad Ghazi Shah. GG#K33A / NR 26b / R 2821 Kaserah. Year: AH 876-889 (1472-1484). Weight: 5.16g [5.40g]. Metal: Copper. Size: 19.00 mm. Edge: Plain. Alignment: Coin. Mint: Kashmir. 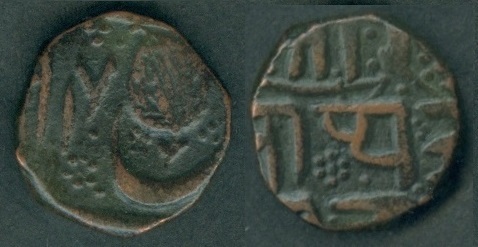 Obverse: al-sultan al-azam hasan shah. Reverse: "Zarb Kashmir" with Date. Mintage: N/A. Minted Years: One year, common type. Ruler: Hasan Shah (1472-1484). This type has circular and plain knot having dot in the center. These Kaserah coins have frozen date as AH 874 (1470) from pervious reign. Note: Hasan's coins are known in gold, silver, copper and lead. The gold and lead coins are very rare. The Obverse legend on the gold Dinars include the expression "nigin-i-mulk khatam-i-sulaiman" (signet of the Kingdom, Soloman's seal). There is some reduction in the weight of the copper coins from 6.00-6.50g to 5.00-5.50g during his ruler. 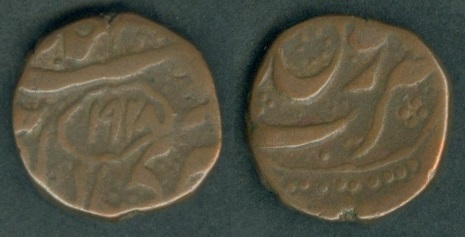 The lead coins are called Dvidinnari (double dinnaras) and appear to have been short-lived experiment. GG#K46 / NR 34 Kaserah. Year: ND (1484-1537). Weight: 5.36g [5.40g]. Metal: Copper. Size: 18.50 mm. Edge: Plain. Alignment: Coin. Mint: Kashmir. Obverse: al-sultan al-azam muhammad shah. Reverse: "Zarb Kashmir" with Date. Mintage: N/A. Minted Years: One year, very common type. Ruler: Muhammad Shah (1484-1487, 1499-1505, 1514-1515, 1517-1528 and 1530-1537). This type has "azam" above "sultan. These Kaserah coins have frozen date as AH 874 (1470) from pervious reign. Note: All Muhammad Shah's coin bear fixed dates from the former reigns, so any allocation to his particular reigns have to be done by die analysis. From this, it appears that most of the silver coins known so far were struck from his third reign onwards. Of the gold coins, one shares the obverse die used by Hasan Shah, and must have been struck during Muhammad's first reign, while the others were probably struck during his 4th and 5th reigns. Copper coins were probably struck in all five reigns. GG#K104 / NR 67b / R 2853 Sasnu. Year: AH 953 (1546). Weight: 6.16g. Metal: Silver. Size: 14.50 x 15.00 mm. Edge: Plain. Alignment: Medal. Mint: Kashmir. 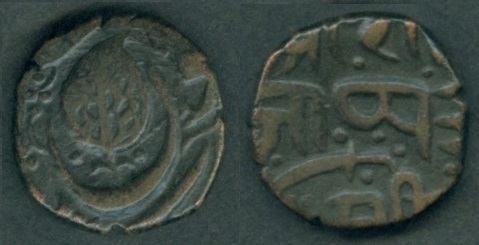 Obverse: al-sultan al-azam muhammad humayun ghazi. Reverse: "Zarb Kashmir" written in the center wavy square. Four caliph names in each corner. Mintage: N/A. Minted Years: One year, scarce type. Ruler: Mirza Muhammad Haidar Dughlat (1546-1550) citing: Mughal Emperor: Muhammad Humayun. Note: Some of these coins have retrograde reverse. This coin has ghazi on the left side below Muhammad Humayun. SG#K105 also exists with the same year having ghazi written on right side below Muhammad Humayun. 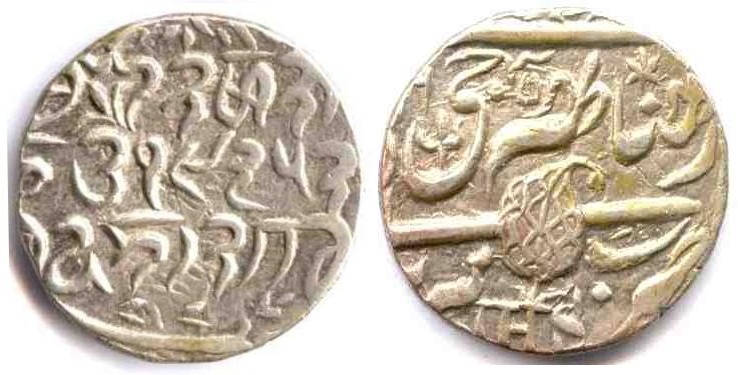 Mirza Muhammad Haidar Dughlat ruled Kashmir AH953-957 (1546-1550) but did not issue coins in his name but used the name of Mughal Emperor Muhammad Humayun. GG reference numbers are taken from "The Coins of the Indian Sultanates" by Stan Goron and J.P. Goenka. GG#K116 / NR 74 / R 2869 Sasnu. Year: AH 962 (1555) on obverse and AH 959 on reverse. Weight: 6.26g. Metal: Silver. Size: 14.50 x 15.00 mm. Edge: Plain. Alignment: Medal. Mint: Kashmir. Obverse: al-sultan al-azam mahmud shah. Reverse: "Zarb Kashmir" written in the center wavy square. Four caliph names in each corner. Mintage: N/A. Minted Years: One year, very rare type. Ruler: Habib (Mahmud) Shah (1555). Note: A few silver coins only are known from his short reign. It is not known why Habib used the name of Mahmud on his coins. Further reading on Kashmir coins recommended is Nicholas Rhodes: The Coinage of the Sultans of Kashmir, published in Numismatic Digest, vol. 17, 1993, Indian Institute of Research in Numismatic Studies, Nasik. This survey includes a bibliography of numismatic and historical references. By this time, the Mughal has started to re-establish their powers in India, and the new ruler in Kashmir, perhaps wishing to keep on good terms with his powerful neighbour, issued coins not in his own name but also in the name of Akbar, who had succeeded Humayun in AH 963 (1556 CE). Muhammad Ghazi Shah was removed by his brother Husain Chak, who ascended the throne with the name of Husain Shah. Mughal emperor Akbar send an envoy to Kashmir in 1568, who was well received. When the envoy returned to Lahore, Husain sent his own daughter, with fine gifts, to be married to Akbar. Various coin during his reign were also struck in the name of Akbar attest to these events. Husain Shah abdicated in favour of his brother, Ali Chak in AH 948 (1570 CE). He first attempted to assert his independence but it was not long before Akbar sent two powerful ambassadors to Kashmir to require him to acknowledge Mughal overlordship. Coins are known to be struck in Akbar's name during his reign, though not from the time of the ambassador's arrival. Muhammad Ali suddenly died from an accident in AH 987 (1579 CE) and this led to a period of confusion. He was succeeded initially by his son Muhammad Yusuf Shah. He was soon ousted as a result of a rebellion by the Sayyid faction that saw Mubarak Khan ascend the throne as Mubarak Shah. He is known to issue coins in this brief period as well as during his second reign from 1580 to 1586. He was soon ousted as a result of a rebellion by the Sayyid faction that saw Mubarak Khan ascend the throne as Mubarak Shah. 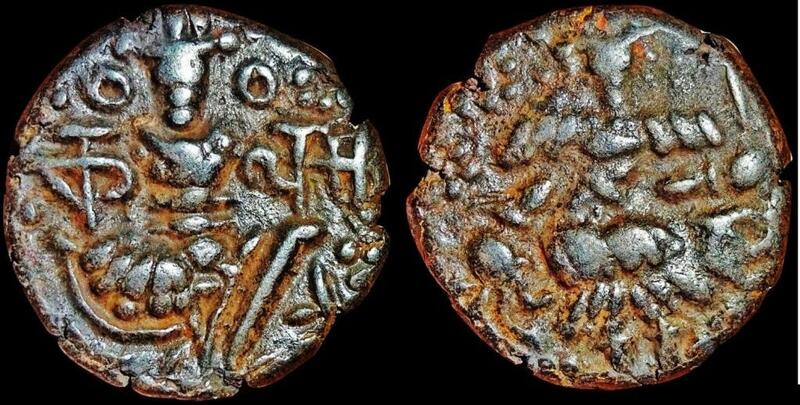 He is known to produce coins in his short reign in AH 987 (1579 CE). He, in turn, was displaced by a counter-rebellion, that saw not Yusuf but his cousin Lohar Chak seize the throne. He is known to produce coins in his short reign in AH 987 (1580 CE). Yusuf left Kashmir and sought Akbar's aid to regain his throne. A promise of aid was given but was not needed as Yusuf managed to defeat and capture Lohar Shah in a battle. His reign lasted for some six years but he was always mindful of pressure from the Mughals. In 1584 he sent his eldest son Yaqub to Akbar with fine gifts as proof of his loyalty, but the mission was not well received as Akbar expected Yusuf to come in person. Oddly enough, coins are known in the name of Yaqub two years before he formally claimed the throne, i.e. in AH 992 (1584). Latter coins were struck on his name in AH 994 (1586). In 1586 (AH 994), Yusuf was forced to submit to Akbar. He was imprisoned for his pains. Yaqub was again declared king and continued to fight a rearguard action for two years before realising that further resistance was futile. He later submitted to Akbar and exiled to Bihar, where he died in 1592. From 1588 onwards, Kashmir became part of the Mughal Empire. Afghan rulers Ahmad Shah Durrani (1747-1772), Taimur Shah (1772-1793), Zaman Shah (1793-1801), Mahmud Shah (1801-1803 and 1809-1819) and Shoja al-Mulk Muhammad Shah (1803-1809) are known to mint coins in Kashmir during their rule. Click on above link to view Durrani coins on Kashmir. He is known as a rebel Governor of Kashmir from 1808 to 1813 and used the name of Shah Nur al-Din; the patron Saint of Kashmir, on his coinage. He is also known to mint coins in the name of Mahmud Shah in Kashmir. He is also known as a puppet of Afghan ruler Dost Muhammad from 1817 to 1823 and ruled Kashmir from 1818 to 1829. Son of Mian Kishore Singh of Jammu. Gulab Singh delcared himself as Maharaja of Jammu and Kashmir on 09 Nov 1846. Partitioned between India and Pakistan in 1948 - most of the Vale of Kashmir was occupied by India. Hari Singh continued to rule Jammu and Jammu till 17 Nov 1952. He died in 26 Apr 1961. His son Karan Singh was regent under his father rule from 20 Jun 1948 to 17 Nov 1952. Later Karan Singh was elected as Sadr-e Riyasat (roughly, "head of state") from 17 Nov 1952 to 30 Mar 1965 and then Governor from 30 Mar 1965 to 15 May 1967. KM#1.1. Paisa. Year: VS x917 (1860). Weight: 7.14g [6.80 - 7.00g]. Metal: Copper. Diameter: 18.25 mm. Edge: Plain. Alignment: Coin. Mint: Jammu. Obverse: Date on the left side. Pipal Leaf on the right side with crescent below it. Reverse: Legends in Gurmukhi language. Minted Years: VS1914 (1847), VS1915 (1848), VS1917 (1860), VS1918 (1861), VS1919 (1862) and VS1921 (1864). Ruler: Maharaja Ranbir Singh (1857-1885). Type: Sword below top line. KM#1.2. Paisa. Year: ND (VS 1921 or 1922) [1864-1865]. Weight: 6.62g. Metal: Copper. Diameter: 18.00 mm. Edge: Plain. Alignment: Rotated. Mint: Jammu. Obverse: Date on the left side. Pipal Leaf on the right side with crescent below it. Reverse: Legends in Gurmukhi language. Minted Years: VS1921 (1864) and VS1922 (1865). Ruler: Maharaja Ranbir Singh (1857-1885). Type: Sword below middle line. Y#7. Paisa. Year: VS 1928 (1871). Weight: 5.40g [5.50 - 6.00g]. Metal: Copper. Diameter: 18.00 mm. Edge: Plain. Alignment: Coin. Mint: Srinagar. Obverse: Date in cartouche in the center. Reverse: "Falus Zarb Srinagar" (Falus struck at Srinagar). Minted Years: VS1920 (1863), VS1921 (1864), VS1922 (1865), VS1923 (1866), VS1926 (1869), VS1927 (1870), VS1928 (1871), VS1930 (1873) and VS1931 (1874). Ruler: Maharaja Ranbir Singh (1857-1885). Y#16b Rupee. Year: VS 1930 (1873 CE). Weight: 6.78g. Metal: Silver. Edge: Plain. Alignment: Rotated. Mint: Srinagar, engraver's initial: JHS. Mintage: N/A. Minage Years: VS 1929-1932 (1872-1875 CE). Ruler: Maharaja Ranbir Singh (1857-1885). Series: Third Silver, struck on dump planchets. Persian on obverse side and Takari on reverse side. Y#21a Rupee. Year: VS 1952 (1895 CE). Weight: 6.65g. Metal: Silver. Edge: Plain. Alignment: Rotated. Mint: Srinagar, with initial: JHS. Mintage: N/A. Minage Years: VS 1934-1952 (1877-1895 CE). Ruler: Maharaja Pratap Singh (1885-1925). Series: Fourth Silver (Chilki). Persian date in second line of obverse side and Davanagari date in second line of reverse side. Note: It is said that Lord John Lawrence, commissioner of the Punjab from 1849 until 1857, when at the court of Gulab Singh, was asked by the Maharajah to what the success and prosperity of England was due. His Lordship replied that it was due to its being a Christian nation. The Maharajah then asked him for some symbol or sign of Christianity, whereupon Lord Lawrence wrote the letters J H S (Jesus Hominum Salvator). On most coins after VS 1927 (1870 CE) the Roman letters were changed to read I H S. the first three Greek letters of ΙΗΣΟΥΣ (Jesus). Capital: Leh. At the extreme northern terminus of India, adjacent to the Karakoram Range in the Himalayas. To the north is Xinjiang, to the east is Tibet; west and south is Kashmir. To this day, the area is a hinterland whose frontiers are in dispute between China, India, and Pakistan. Politically, the place has been a sizable Tibetan principality, almost to modern times. West-Tibetan branch of the Yar-lung dynasty. 1200's - 1300's Under Mongol suzerainty. 1644 - 1685 Tributary of the (Mughal) Empire of Hind. 1690's - 1700's Vassal state of Kashmir. 1783 - 17 Sep 1842 Tributary of Tibet (which itself is under suzerainty of China). by Jammu and Kashmir (with some nominal autonomy). 21 Nov 1962 China occupies Aksai Chin region. 28 Aug 1995 Ladakh Hill Area Development Council created. 29 Dec 2002 Autonomy increased. Second Dynasty - (titl:e Chos-rgyal-chen-po; from 1683 every ruler also used the name Aqibat Mahmud Khan). Most within Indian control since 1948.